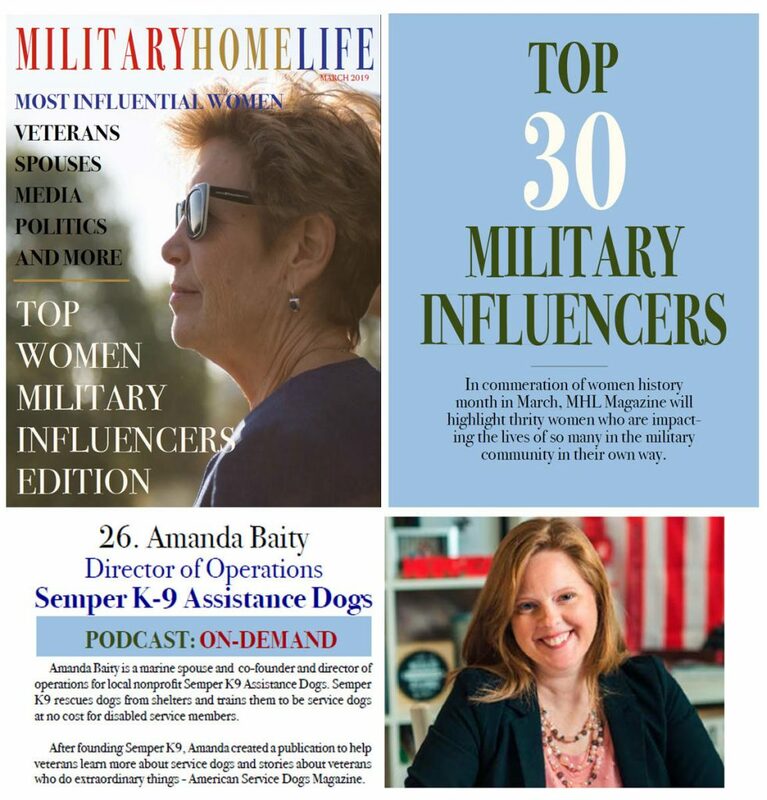 Amanda Baity, Prince William Living‘s Director of Operations and Photo Editor, was recently named a Top 30 Woman Military Influencer by Military Homelife Magazine. Aside from her duties at Prince William Living, many of our readers know she also is the co-founder and Director of Operations for the national, award-winning nonprofit, Semper K9 Assistance Dogs. Amanda and her husband Christopher, an OEF/OIF USMC combat veteran, founded Semper K9 in 2014. Semper K9 is currently based in Woodbridge but will be relocating once their training facility is complete. Because of her work with Semper K9 and advocacy for military families, she is recognized as a top influencer in the military community alongside First-Lady Melania Trump, Second Lady Karen Pence, Ellyn Dunford spouse to the 19th Chairman of the Joint Chiefs of Staff General Joseph Dunford and US Senator Tammy Duckworth and others. The list includes women from different realms of the veteran community including political leaders, entertainment & sports. “These women are impacting the lives of so many in the military community and have a significant impact on military families,” said publisher, Sonya Dunn. You can read the digital version of this issue by visiting Military Home Life’s website www.militaryhomelife.com. 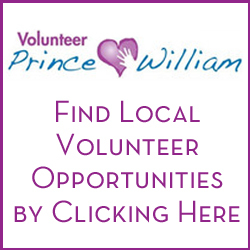 Congratulations, Amanda, from your Prince William Living family! 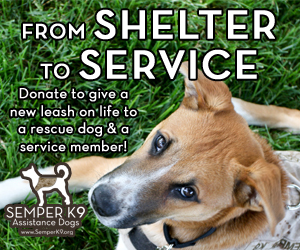 To find out more about Semper K9, you can visit their website at www.semperk9.org or click here for their upcoming local events.